performs often in the Boston area with local orchestras, small ensembles and as a chamber and solo musician. In addition to traditional performance, educational outreach is very important to Scott. He has performed throughout New England and Europe. Scott recently completed a Masters of Music degree at the New England Conservatory, where he won the 2016 and 2018 concerto competitions. He is currently enrolled at NEC as a candidate for the Doctor of Musical Arts degree. 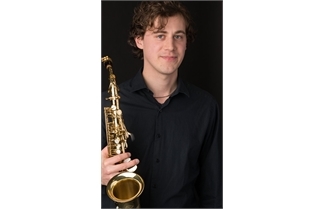 In addition to a busy schedule as a performer and student, Scott teaches both saxophone and music theory. Scott will give lessons with IMSCC at the Carlisle school and CCHS.